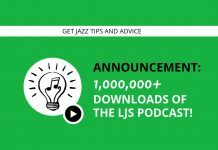 Welcome to episode 70 of the LJS Podcast where today we have a very special guest on the show, Brazilian saxophonist, and composer, Livio Almeida. In today’s episode, Livio gives us a great lesson on Bossa Nova, important artists, songs, and rhythms that we need to know. If you are new or want to know more about Bossa Nova and Brazilian music, this episode is for you! Bossa Nova and Jazz have a big connection. In fact, there are many Bossa Nova standards that are also jazz standards as well. This is why it’s important for jazz musicians to understand Bossa Nova and how to play it. You will need to be able to play the style on gigs and jam sessions and feel free within the rhythmic structure. Lívio Almeida is a saxophone/woodwinds player and composer/arranger from Brazil. Winner of the first International Saxophone Competition VIctor Assis Brasil in 2015. He got his Bachelor in Classical Saxophone in Brasilia,Brazil; and a second degree at The City College of New York on the BFA program in Jazz Performance. Livio is a regular member of GRAMMY-winning pianist Arturo O’Farrill’s sextet and the outstanding Eco-music big band. The Jazz and Bossa Nova connection. How the two are related. Important Bossa Nova artists and composers to know. Basic rhythmic structures of Bossa Nova. Choro, and it’s important artists and composers. This isn’t your ordinary music book. Zero to Improv calls you to action! Packed full of improv and jazz theory lessons, you’ll start from the beginning and build up all of the skills and knowledge you need. Audio examples are included for all music notation. Have anything to add to today’s show? Leave a comment below. A very exciting session! There is a Brazilian group that plays in Toronto called Trio Chorinhos. I believe they play choro style!! Another Bossa Nova standard is "Wave". Another important point about Choro is its form. In general modulation to the V or IV chord key center in the part C. Congrats!! Nice Page and podcast! Thanks for the great input Alexandre!